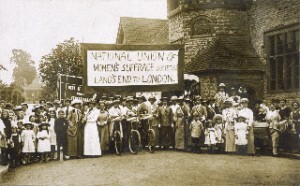 In the summer of 1913, in the aftermath of Emily Wilding Davison’s spectacular funeral procession, while WSPU members were reading in the pages of The Suffragette details of Mrs Pankhurst’s successive hunger strikes, numerous reports of increasingly dangerous suffragette militancy, and Christabel Pankhurst’s denunciation of prostitution and venereal disease (eventually published as The Great Scourge), the constitutional suffragists, the National Union of Women’s Suffrage Societies, were planning a ‘Woman’s Suffrage Pilgrimage’. The Pilgrimage was intended to act as a counter to suffragette militancy, to create a spectacle demonstrating that women, while disciplined, were also law-abiding. The air of spirituality that had surrounded Emily Davison’s coffin was paralleled by the consciousness-raising intent of the Pilgrimage. It is interesting to note that the model, which had been enacted the previous autumn when a small group of women had journeyed from Edinburgh to London, was known as the ‘Women’s March’. By mid-1913 the mood had changed – the women were no longer marchers, they were pilgrims. In my Women’s Suffrage Movement: a reference guide I give an account of the various strands of the Pilgrimage, which, beginning at various distant points in England, approached London along eight main routes. Now, to mark the centenary of the Pilgrimage, the Dreadnought South West Association is planning to tour a new play, ‘Oxygen’, playing at many of the stopping places of the south-west route of the Pilgrimage, which began at Land’s End on 19 June. 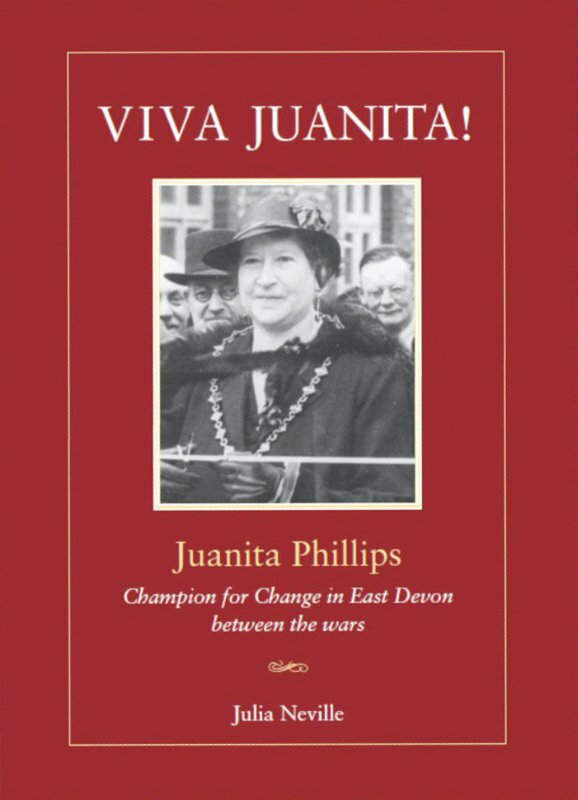 One of those involved in planning the Pilgrimage commemoration is Dr Julia Neville, details of whose latest book are given below. This entry was posted on March 26, 2013, 11:25 am and is filed under Suffrage Stories. You can follow any responses to this entry through RSS 2.0. You can leave a response, or trackback from your own site. We have just come across your blog and are very excited by it! We are curating The Wilding Festival (http://thewildingfestival.co.uk/) which will be held at St George’s Bloomsbury on the dates surrounding the date of Wilding’s memorial service which was held on this site. We hope the festival is of interest to you and your followers and would be happy to speak further about this should you like any more information.